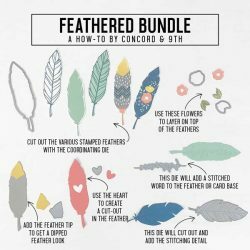 Feathered die set by Concord & 9th. 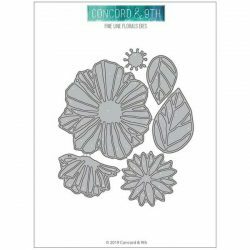 7 piece die set that coordinates with Feathered stamp set. 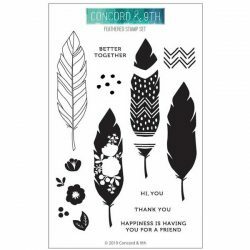 The large open feather die will die cut around all 3 stamped feather images. 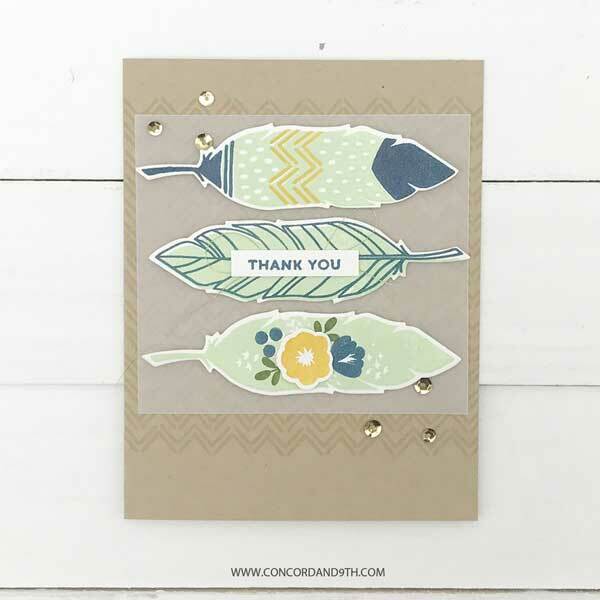 The tip of the feather is an extra die so you can add a foil or glitter paper tip, or different colors of card stock. 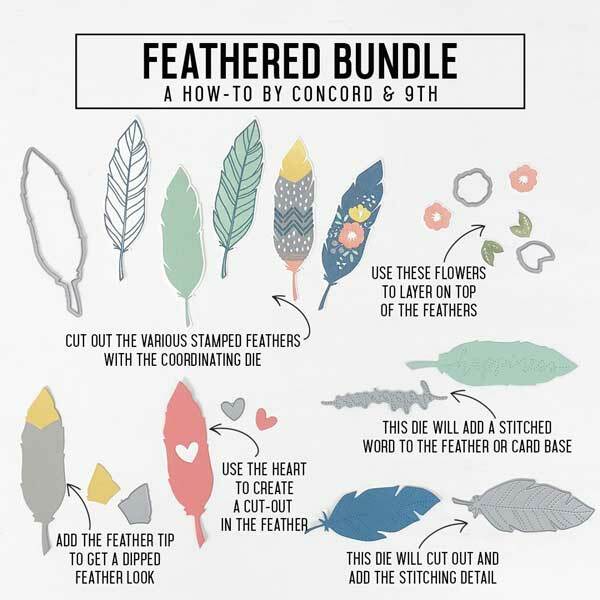 The smaller feather leaves a stitched detail on your die cut feather as an added embellishment. 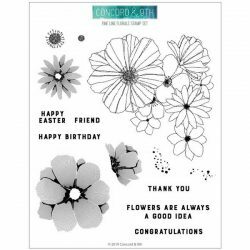 The flower and leaves die cut the stamped images, or can be used on their own. 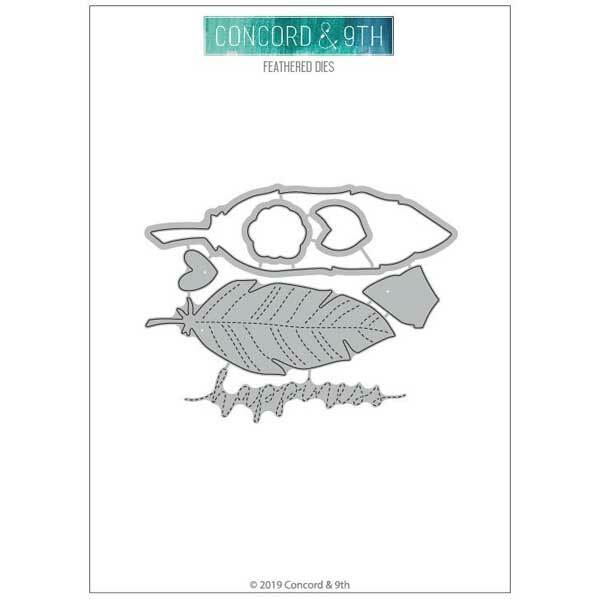 We added a heart die, well, because it’s cute! 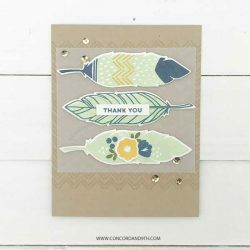 The word “happiness” leaves a stitched detail in the open feather die cut, or on its own on your card fronts.